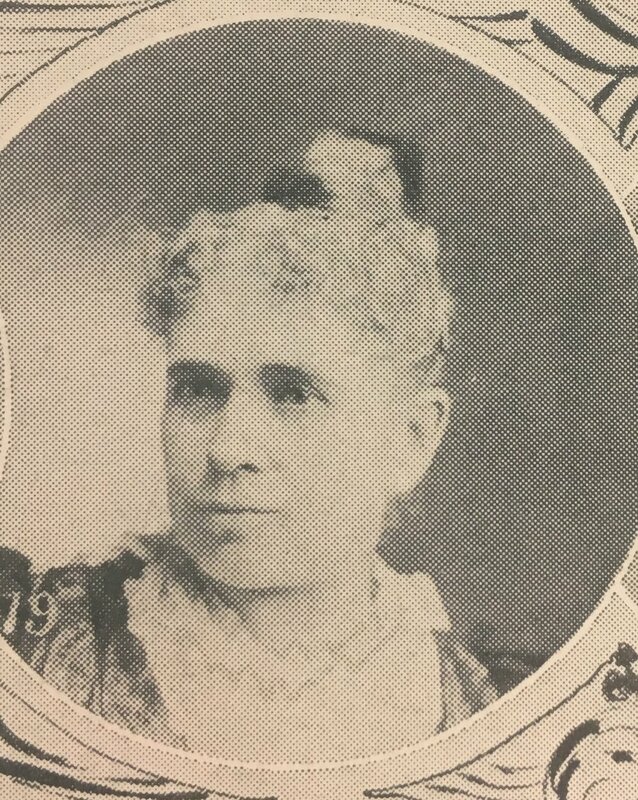 In the 1800s and early 1900s Harriet J. Weeks Walker, also known as Mrs. E. S. Walker, first president of the King's Daughters Organization and her husband Reverend E. S. (Edwin Sawyer) Walker made immeasurable contributions to the King’ Daughters and the Springfield community- at- large. The King's Daughters Organization is forever grateful or thankful to Mrs. Walker for writing the booklet called The Early History of the King's Daughters Home for Women she did for the Journal of the Illinois State Historical Society. Harriet was the first president (1883-1886) as well as one of the signatories on the articles of incorporation. She was a force for the direction of a home for aged women and the fundraising to purchase the home. Harriet was prolific writer and speaker with so many ideas she pushed toward fruition. She wrote the book pictured here, "Revolutionary Soldiers Buried in Illinois". In the State Journal archives she was noted over 700 times in their papers. In addition to her many notations in conjunction with the King's Daughters and opening of the King's Daughters Home for Aged Women, she was president of the very philanthropic Woman's Club. Mrs. Walker gained statewide notability with her talks throughout the state on topics such as, "Work of the Women's Clubs in Springfield", "Clean up Week", "The History of the National Flag", "American Artists", “The War with Tuberculosis" and "Music as the Highest Art." She also spoke about an important movement she spearheaded for the Beautification of Springfield named "City Beautiful," comparing it with other cities and getting the schools and school children involved in a block by block contest for the nicest block in the city. It is noted that truly almost weekly she was mentioned as giving a talk or hosting an event with literary leanings. Some of the things that were written about her: She was a faithful and devoted president, and no woman has ever worked harder or more unselfish than has she, and the result is a most noble charity. In 1896 when she left the King’s Daughters’ board of directors, they stated they were obliged to submit to the inevitable and allow her a much-needed rest, but we see her as leading meetings in the 1900's for the organization. In 1902 she was elected local regent of the DAR and even authored the article (attached) in the 1912 Encyclopedia of Illinois. In 1909 she organized a class at the YWCA in current literature, book and magazine reviews. (The other new class advertised was in shirtwaist making) In 1891 there was an article on her being president of a new literary club formed in the city. Again, this article barely scratches the surface of Harriet J. Walker; please see the many attachments to see all she did for the King's Daughters Organization and Springfield. Her Husband, the Reverend E. S. Walker also had quite an impact on Springfield with the most notable being his letter to Andrew Carnegie which opened the correspondence that "procured the splendid public library which is the pride of the city". He was a good sermonizer and writer which is evident in his book, "Oak Ridge Cemetery, Its History and Improvements, Rules and Regulations" and "National Lincoln Monuments and other Monuments". Harriet was his second wife whom he married in 1870, after his first wife, Emily M. Hunt passed in 1868. He had two sons with her who ended up settling in Seattle, Washington. It mentions Harriet had a son, John E. Walker, when they married who must have adopted. At this time there is no information on Harriet's first husband. Harriet was 24 and E. S. was 42 when they married. E. S. and Harriet have left such a legacy to this city. The books they’ve written are available at the Lincoln Library in the Sangamon Valley Collection. Thanks once again the Stephanie Martin at the Sangamon Valley Collection for her help with all this information.